Over the years progressive jackpots have earned a name for itself, known as the life changer. Progressive jackpots have even made their way into the Guinness Worlds Records for the largest jackpot won ever. The game responsible for this historical event is none other than the big daddy of progressive slots – Mega Moolah. As far as progressive jackpots go, Mega Moolah is the most iconic and most sought after. However, online casinos do have a number of linked slots and video poker games that come close to rivaling Mega Moolah. So, as a Pokies.com reader, we want to do you a solid and tell you more about progressive jackpots and give you tips to playing them too! So, strap in – you’re in for a spin. Only the best is good enough for Pokies.com. That’s why we feature the biggest online jackpot ever created: Mega Moolah. Mega Moolah is a progressive jackpot slot machine by game developer Microgaming. It has four jackpots (Mini, Minor, Major, Mega), the largest one of which is the biggest jackpot you can play for on the internet. Mega Moolah is never less than one million $/€/£. Usually, it’s a lot more than “just” a million, the pot grows and grows until one lucky player takes it all. To give you an idea of just how much you can win, the biggest Mega Moolah pot won was by a lucky British player in October 2015. That player took home an incredible 13,100,000.00 GBP (Yes, that’s really thirteen million. I bet 13 is not an unlucky number for that winner…). The biggest online jackpots are progressive. This means the pot grows and grows until somebody wins it. Every time you play a spin on a game with a progressive jackpot, a fraction of the bet is added to the jackpot. Spin by spin, the jackpot grows until one exceptionally lucky player takes home millions. The jackpots grow quickly, because tens of thousands of players play the same game. Even though each of the player contributes only a cent or two to the pot, the sheer number of players playing the game ensures that those cents grow into millions of dollars and Euros. So essentially the jackpots work the exact same way as lotteries like Oz Lotto (Australia) or Lotto 649 (Canada). When there are enough players putting money on the line, the winner’s jackpot is going to be huge. Is this legit? Do I REALLY get paid if I win? Yes, it’s legit. The funds are already in the game developer’s bank account waiting to be paid out. Let’s say you get crazy lucky while you’re playing Mega Moolah and get the right symbols to send you to the bonus game. There you spin the bonus wheel just right and … you hit the jackpot. What happens then? You’d get paid, that’s what! The jackpot grows based on money already wagered, so it doesn’t consist of some sort of imaginary funds. 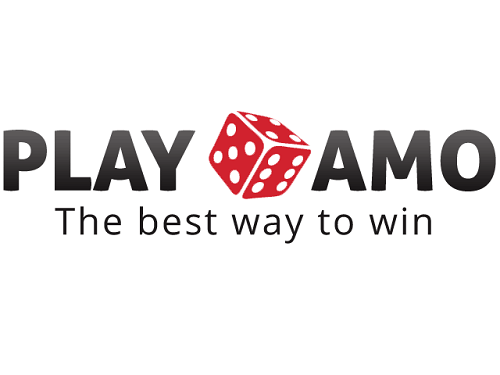 The jackpot funds are collected, held and paid by the game developer Microgaming, not by Pokies.com or any other online casino. Note that there are some responsibilities for you too if you win. Mostly this means that if you won, the casino would use your photo for marketing purposes – you know the one – the one where you’d have a huge smile while holding a comically over-sized check. You don’t really need to cash a check. The winnings are paid directly into your bank account. To win at progressive jackpots you need to spin a wheel in a bonus game and get supremely lucky. Unfortunately there are no great tips on how to win a jackpot in Mega Moolah. The odds of winning are low (to prevent the jackpot from being won too often, so it has time to grow) so you do need to get super lucky. The jackpot is won on a bonus game, which is activated randomly. In the bonus game you spin a special wheel, that has animal footprints on it. Spin the wheel just right to align paw prints to win one of the four jackpots. For the Mega jackpot you need to align lion paw prints. The game’s rules state that the higher your wager, the higher the odds of winning one of the four jackpots. 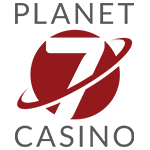 Don’t let this discourage you though, in the past the main jackpot has been won with spins as low as $0.50. What currency would I win in? You win in the currency you play in! Paying you in the currency you play in is the standard way of handling progressive jackpot payments. So if you’re an Aussie playing a pokie in AUD and you hit the jackpot, you’d win in AUD. Or if the player was a Canuck playing a slot machine in CAD, she’d win CAD. 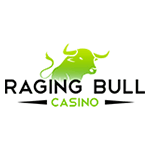 You can choose the currency you want to play in during your sign-up process at your selected online casino. Can I play jackpot games for free? Unfortunately no. Games with growing jackpots are the only ones that you can’t play for free. You can only play jackpot games for real money. This is true regardless of the game type, so all slots, scratchies and other games with growing jackpots are only available for real-money players. The game developers don’t include a free-play modes in jackpot games because it would be complicated to implement them. What should happen if a fun-money player hits the progressive jackpot? Better just to skip the whole issue and limit the games to real money play only. Smaller progressive jackpots are won more often than the big ones. So it’s up to you – go for the difficult big win or a smaller one with better odds of winning? Here are our games that have smaller progressive wins. All these games are slots. 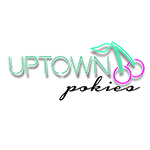 To play any of the above games, register with any of the Pokies.com featured online casinos and login to your account. The jackpot games don’t have a freeplay mode, so you can only play them for real money. All the games are available for desktop and mobile players. These games don’t have a progressive jackpot, but they still have wins in the hundreds of thousands. You can play both Cashapillar scratchie and the always popular Thundertruck II for free (although those “big win” animations don’t quite feel the same when playing for fun…). Sign up now to get a welcome bonus package up to $/€/£800. This bonus gives you plenty of extra chances to hit the Mega Moolah jackpot.